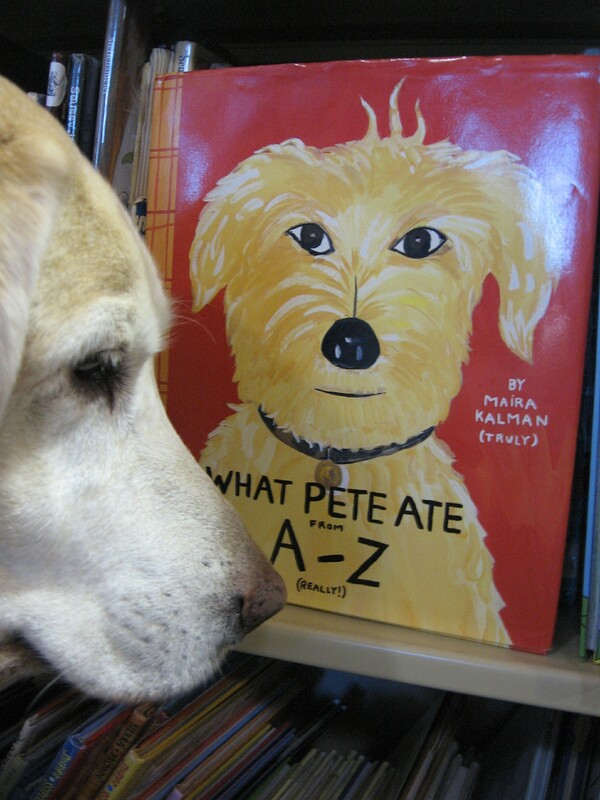 It’s Perfect Picture Book Friday over at Susanna Hill’s and my contribution today is another alphabet book : What Pete Ate from A – Z by Maira Kalman. It was published in 2001 by G.P. Putnam’s Sons. I would recommend it for maybe 1st grade and up. It is an alphabet book, but it has some higher level concepts that I think would be over a kindergarteners head. 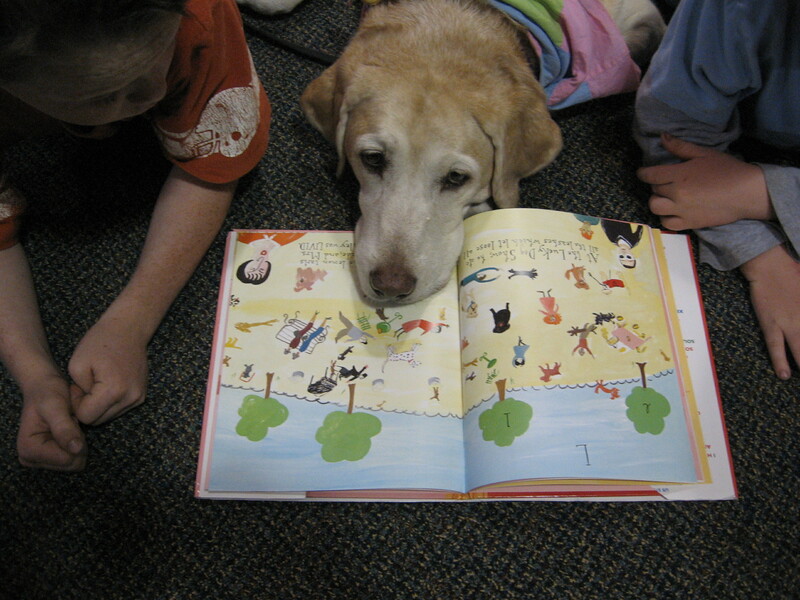 From the author — “What Pete Ate from A – Z where we explore the English Alphabet ( in its entirety) in which a certain Dog DEVOURS a MYRIAD of ITEMS which he should NOT.” Sounds like a Lab to me! I LOVE this book! It is soooo funny. I know alot of dogs who eat some strange stuff, but nothing like this Pete! Not only does he eat accordions, but he eats cameras and dolls and balls and money and , well — you’ll just have to read it to see what else! Ms Kalman has filled this book with some zany illustrations. She must be a pretty Zany person. I like that word Zany. I’ve been known to eat what my Mom Person says is pretty weird stuff. I love “G” for grass. And I like “A” and “L” for arms and legs off of toys. I love “C” for chicken feed. And I once ate a whole “C” for chocolate cake. It sure was yummy! But the Mom Person ruined it by becoming the Person who makes her dog throw up! 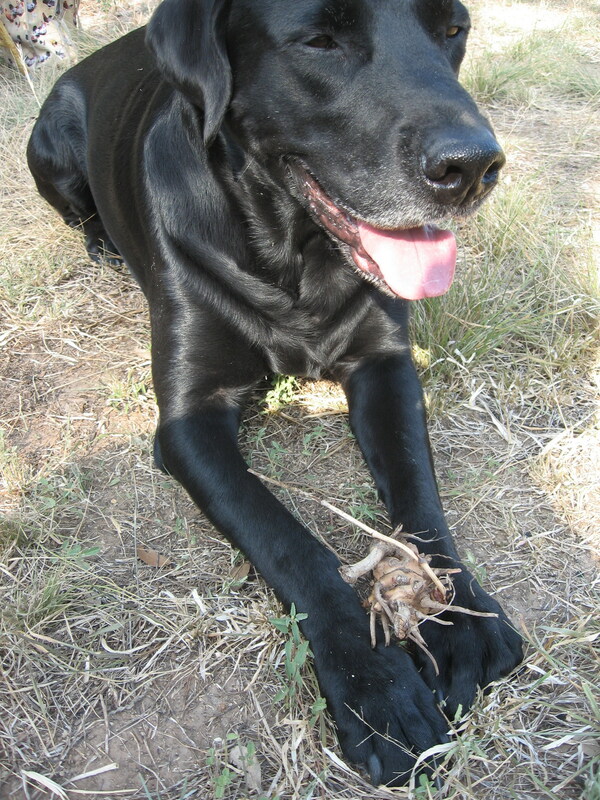 My buddy, Walker, REALLY likes “S” for sticks and “B” for bark and “R” for rocks and “D” for dried up leaves. 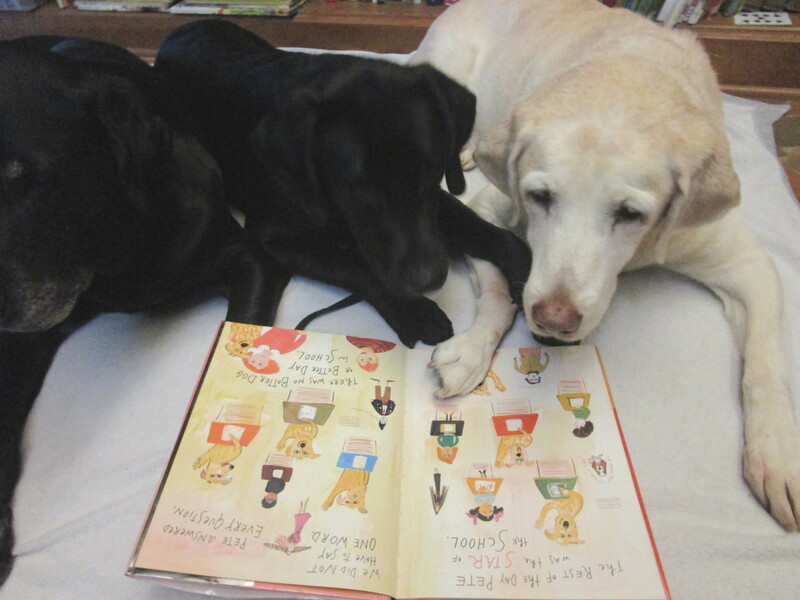 We might could write our own alphabet book! And that might be a fun thing to let your school kids do! Make their own book of weird stuff to eat! And while you’re at it, maybe talk about what’s good to eat and what’s not. You could have a big discussion about training and taking care of dogs. What happens if your dog eats an accordion?! 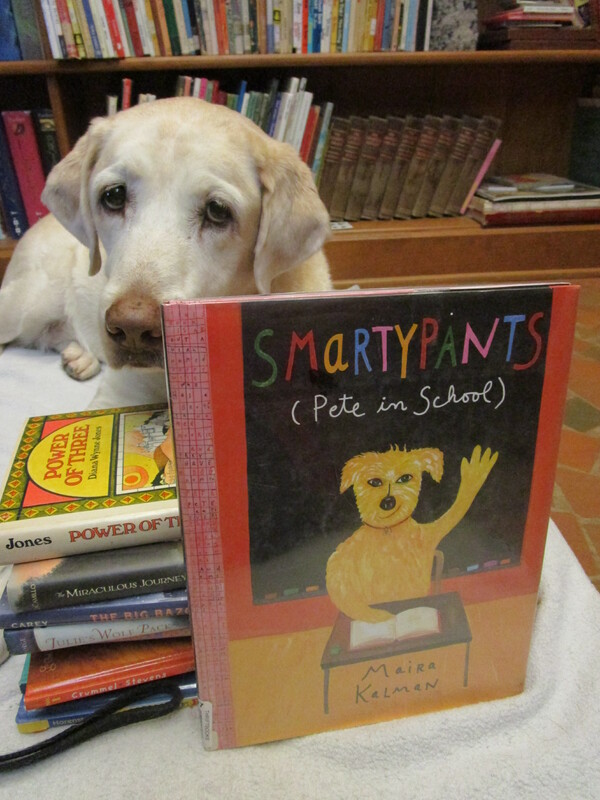 If you’d like to see more of Ms Kalman’s work you can visit her website. So have a Zany Day! 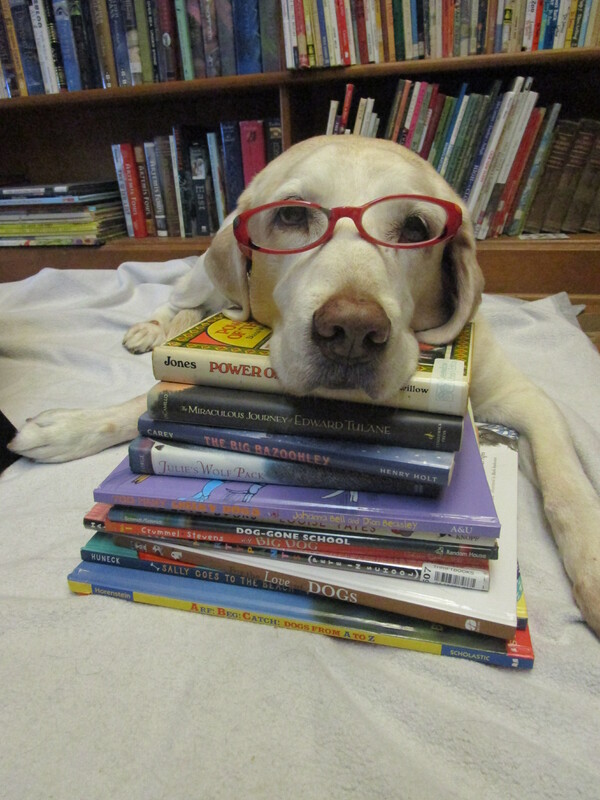 And check out this Zany book! You’ll be glad you did!